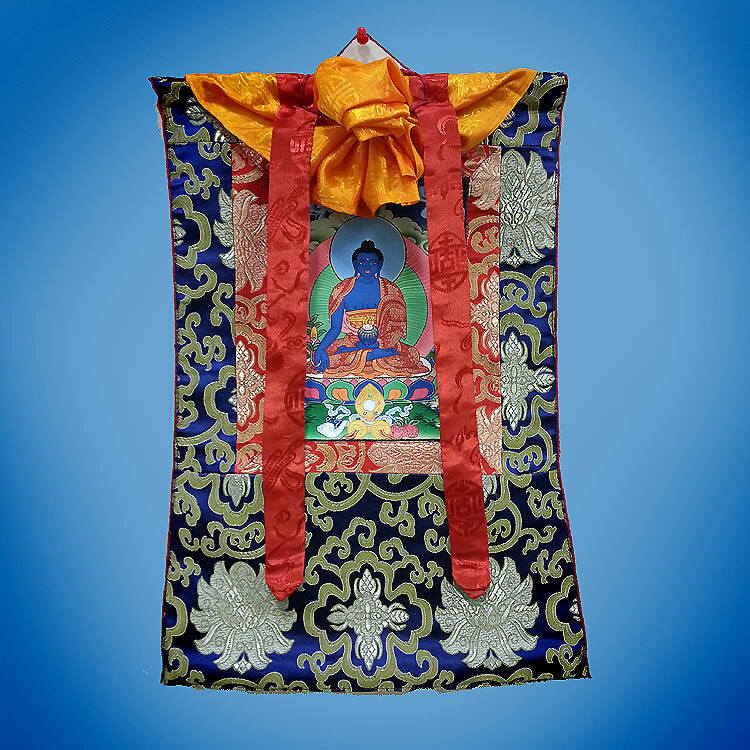 Medicine Buddha is an extremely powerful form of enlightened energy. 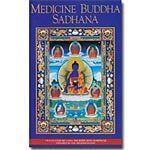 The practices of Medicine Buddha are efficacious in healing and helping one to accomplish one's goals successfully. It can be of benefit to someone who is ill or even someone who has died. Offering a sacred image for the purpose of helping that person overcome their illness or for a good rebirth in their next life is extremely beneficial. 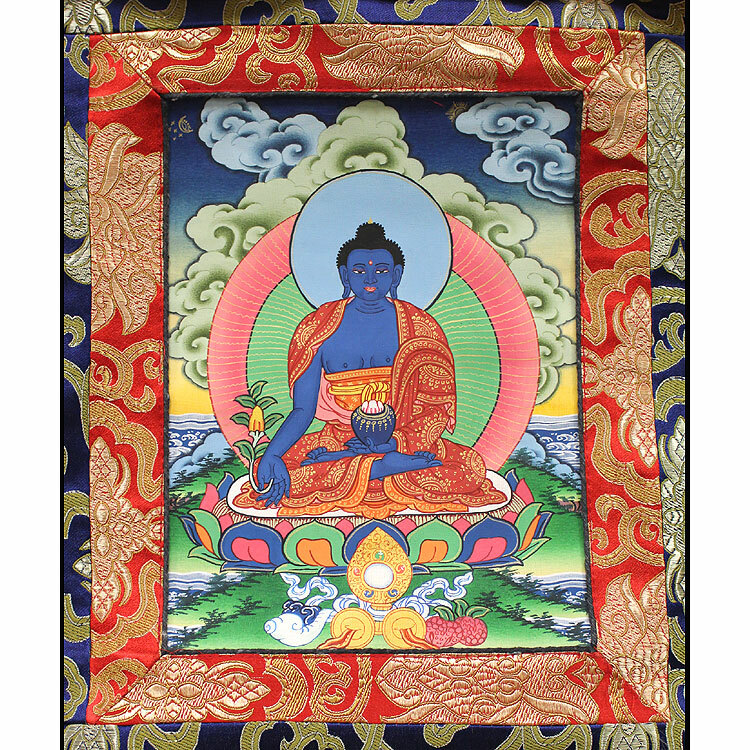 Hand-painted by Nepali-Tibetan artists in Kathmandu, Nepal using traditional painting techniques and materials with significant gold accents. The size of the painting is approximately 6 x 8 inches (15 x 20 cm) and with the brocade 12 x 18 inches (30 x 46 cm) approximately. 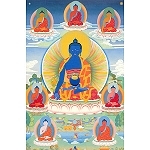 Thangkas may have minor variations on painting and brocade color details due to individual artist work.